There’s a new puppy in Eric’s house: Freud. And this should be a good thing. It’s definitely a start… It’s definitely better. But as Eric’s visits to the Doctors keep reminding him, “better” doesn’t mean well. After the last few years, the last few months, Eric has nothing left: nothing but the house in Miami, his memories, and now the puppy. And Freud is only here, scampering and howling and messing, because Ziggy had to be put down. And Freud isn’t quite Ziggy. And the house is only here because… and it needs to, it has to, sell… and it won’t quite sell. And nobody and nothing’s Mitch. Eric, surrounded by memories, flattened and churned up by Banks, Doctors, Real Estate Agents and Fantasies, grieving over the loss of his health, his lover, and the life he once had in the house he now can’t quite get rid of, keeps climbing towards the future, one uneven, unsteady step at a time. Still, it’s hard to know where he’s climbing to. And though there’s a lot of healing to do, how to start? Well… at least there’s the puppy. Freud isn’t Ziggy, but that’s okay. He makes Eric smile. And the Puppy Howls is the story of being hit by everything modern American life can throw, and who and what comes next. After a lifetime spent in his native New York Eric Paul Lee now resides in beautiful, tropical, Miami, Florida. Born in Brooklyn and raised in Coney Island, Eric often wandered the Boardwalk in his childhood. Eric frequently wasted his allowance at the now demolished Steeplechase Park and the other dated, dowdy and declining amusements that defined Coney Island… and much of traditional society… back then. The traditional was still in back then. And the traditional like Coney Island had seen it’s glory days, it’s heyday, long passed. But the new hadn’t arrived yet. Just the old was fading… And so the forms still had to be obeyed. And with that Eric’s parent’s obeyed those forms and Eric was dispatched to college in Upstate NY to return to Brooklyn some four years later. Upon graduation from college Eric bounced from job to job until the Graphic Arts caught his creative eye and a new career began. With his first graphics production position under his belt Eric moved in to Manhattan some two years later never to live in Brooklyn again. Success built on success as corporate stints in California brought about even greater successes leading to Eric’s eventual New York City return and the opening of his own Graphics Agency in Manhattan. That enterprise ran successfully for over twenty years. Now out of industry entirely, Eric is happy to enjoy the perpetual Florida sun and write. This book is bargain priced from 05/10/2015 until 05/17/2015 Check book price before you buy, as prices can change due to expiration of the sale or other technical issues. Life’s script takes Chris Byrne from a passive tech support role to an active world saver. A simple drudging existence was on tap for Chris before an attempt at bravery places him as a sidekick for newly discovered superheroes. With government backing, Chris awkwardly attempts to live up to the heroic image while tagging along on Super missions. Although he may look it and proves slightly capable, Chris knows he can’t keep up the part and decides to quit. But walking away is the most daring performance in front of him. He stands to lose financial security for his family, a best friend that is also playing sidekick, and a new friend in the form of a Super. Then Chris sees the machinations behind it all. Kinion Leintz balances the scales of his perfect, valedictorian high school career with a summer of excess that culminates with a trip to a legendary haunted house. 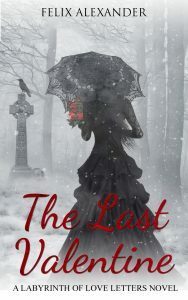 His closest friends are shocked by the turn and drift away from this new side of their once noble leader; while his girlfriend literally cannot put into words her disbelief at his outrageous actions, which in turn separates the couple all too quickly. As Kinion struggles to fulfill his declaration of having the most epic summer ever without his close circle of friends, he pushes his way back into their lives, first with an impromptu party crashing and then a ridiculous fiasco at Starbucks. His old pals want nothing more than the old Kinion to return, but there is one last splash of grandeur he won’t give up on: a legend trip to the House. The local haunted spot has sunk its claws into Kinion’s vanity and he is all too willing to indulge in the possible celebrity status an all-night stay could bring. Wrapped in themes of fate, justice, and the nature of reality, Nothing Will Come of Nothing pulls you inside its moonlit corridors and doesn’t let go until the first rays of sunlight break on through. This book is bargain priced from 05/01/2015 until 05/06/2015 Check book price before you buy, as prices can change due to expiration of the sale or other technical issues. FACE THE WINTER NAKED is a story for today’s struggling economy and unemployed citizens, set in a tragic era when hope was sometimes all they had. Daniel Tomelin, a battle-worn veteran haunted by the carnage of the First World War, deserts his family in the Great Depression and goes on the road seeking work and relief from PTSD. After leaving his wife and children to cope with a hell he helped create, Daniel wonders if he dares show his face again. Face the Winter Naked provides an engrossing read in which Turner interweaves history, geography, and a compelling love story. More than that, it is a story that looks beyond the surface, delving into the inner workings of the human mind, a powerful narrative that illuminates larger issues of humanity that are timeless and volatile and just as apropos today as decades ago: War. Political strife. Economic collapse. Environmental catastrophe. Division of families. Cruelty and oppression. Poverty, inequity, and all the faces of prejudice. But it is also about love. And faith. And strength. And hope, forgiveness, and perseverance. 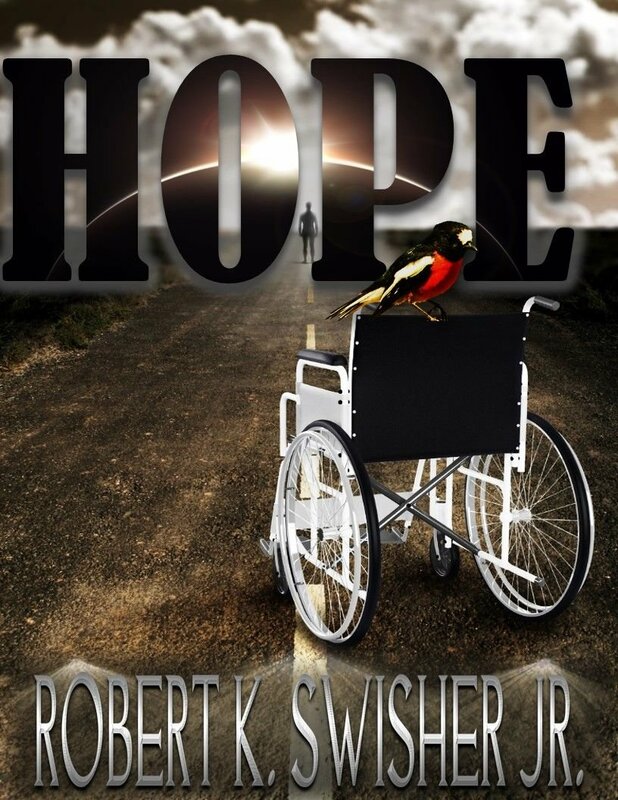 [Read more…] about Hope by Robert K. Swisher Jr.